The fruits and veggies you buy from the market are not as safe as you think but are loaded with toxic pesticides which the farmer has added to protect his crops and also increase yield. 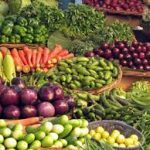 These pesticides enter into our body and invade our immune system and vital organs especially veggies like tomatoes, apples, pears, celery, green leafy veggies, peas and peppers have the most pesticides. You cannot remove them by simply washing them and you might need to do a lot more to get rid of them. Here is a list of 6 simple ways you can follow to remove pesticides from your food effectively. 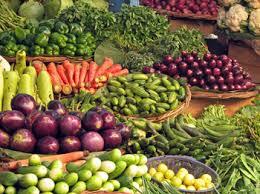 One of the simplest ways of washing vegetables properly is cleaning them with warm water. Soaking the veggies and fruits in vinegar for some time.may also be helpful in cleaning the veggies and fruits effectively. Wash them with a homemade spray of lemon juice and baking soda and dilute it with some water.